If your washing machine isn’t clean, it won’t be effective in cleaning your clothes. Here’s how to clean your washing machine so it gives you great results every time. To clean the drum, simply run an empty wash at 60 degrees. Add some detergent or a dishwasher tablet for even better results. 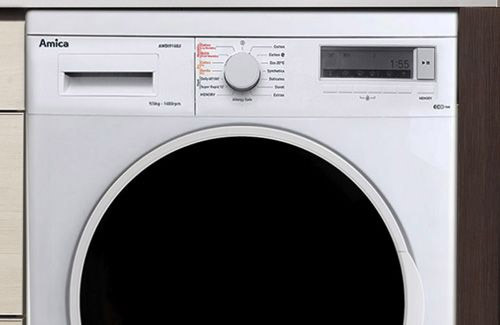 Even if your washing machine’s drum looks clean, it could be harbouring germs and dirt. A hot wash will help to kill off germs and remove scum. Repeat every two months for best results. 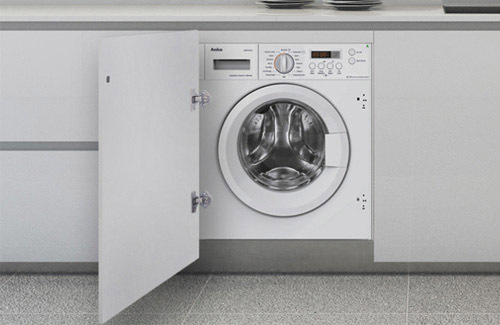 Most washing machines have access to the filter via a cover located at the bottom of the machine. To clean the filter, open this cover. Place a towel and a bowl below it and then remove the filter. Some water will be released. Remove any debris from the filter and replace. Your washing machine has a filter to stop any debris reaching the pump. Dirt and germs can collect here which can cause problems and smells. Cleaning it regularly will prevent build up. For best results, remove the washing machine drawer to clean it. This allows you to soak, scrub, rinse, dry and replace your detergent drawer to get rid of powder or liquid build-up. You’ve probably already noticed how dirty the drawer can get. 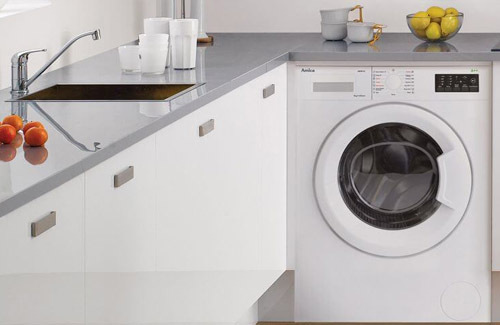 Washing powder and mould can build up quickly, so it’s good for your machine and your clothes to clean it regularly. Simply wipe the seal with a clean cloth after each wash to leave the machine fresh and ready for your next wash.
Clean and dirty clothes brush past the seal every time you do a wash load, so keeping it clean avoids getting any dirt or debris on your clean clothes. In the UK, the majority of people have front loader washing machines. If you have a top loader you’ll need to be aware that some of the settings don’t fill the machine up completely so won’t be suitable for cleaning the machine. Whilst the tips above will work for your front-loader washing machine, they may not be sufficient for a top-loader. 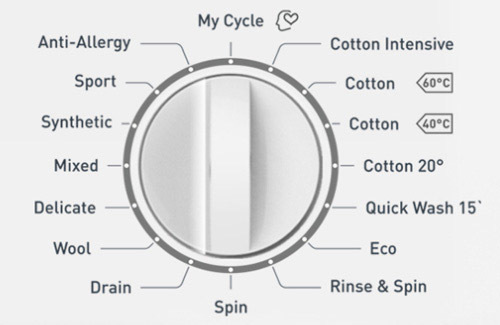 Some top-loader washing machines come with a sanitise cycle which gets hot enough and full enough to clean the machine. If you can’t find one of these, run at the hottest and highest load setting to clean the drum. Why Do Washing Machines Smell? Washing machines are warm, damp environments that are a perfect breeding ground for mould and germs. This is why your washing machine can start to smell without regular maintenance. You are frequently putting dirty things in it and the damp environment rarely gets a chance to dry out. Leave the door ajar between washes to let the damp air dry and clean air circulate into the drum. Once a month, run a hot cycle on your machine with no laundry load inside. Put a cup of vinegar in the drum to clean any dirt away. Wipe the seal down after a wash if it is particularly damp. This will help to prevent mould and mildew. Do not always use a cold or cool cycle. Try to use a warmer or hot cycle occasionally. Clean out the filter regularly. It’s important to kill germs and mould that build up in your washing machine by using a suitable cleaner. Here are some of the most effective substances to clean your washing machine with. Baking soda: known for it’s cleaning powers, baking soda will help to clean and absorb odours. Usually mixed with vinegar, this powerful combination will help reduce mineral deposits and mould growth. Vinegar: another household substance that helps get things sparkling clean, vinegar can be used as a cleaning substance for your washer. The most common method is to combine with baking soda and water for an effective clean. Bleach: great for killing mould and germs, bleach can be used to clean your washing machine. Make sure there are no traces left when you put your wash load in though, as it could harm colours. Dishwasher Tablet: designed to clean and prevent limescale build up, dishwasher tablets can also be effective for cleaning your washing machine. Once you’ve cleaned your washing machine, you’ll want to keep it that way. Some regular maintenance goes a long way. If you’re using too much washing powder it will clog up the washing machine drawer and water will not flow through as easily. So, you know what they always say, check the label, to ensure the correct amount of powder is being used. That’s how you’ll get the results you want. Clean is key, wipe the door seal regularly with a dry clean cloth to kill any hiding bacteria. It’s also suggested you occasionally run your machine on a hot wash to kill germs, especially if you normally wash on low temperatures. With Amica’s variable temperature washes, it will be easy! 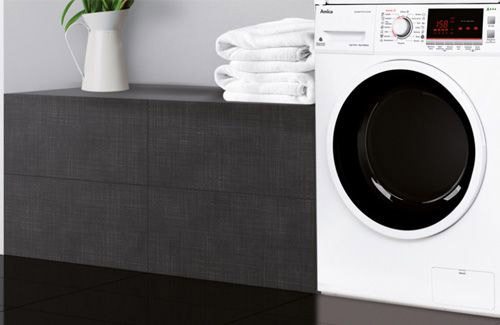 To save energy wash clothes on shorter cycles with lower water levels.